Telluride is a tiny, self-sufficient town at the end of a steep-walled valley in Colorado’s stunning San Juan Mountains, a high rugged range in the Rocky Mountains. 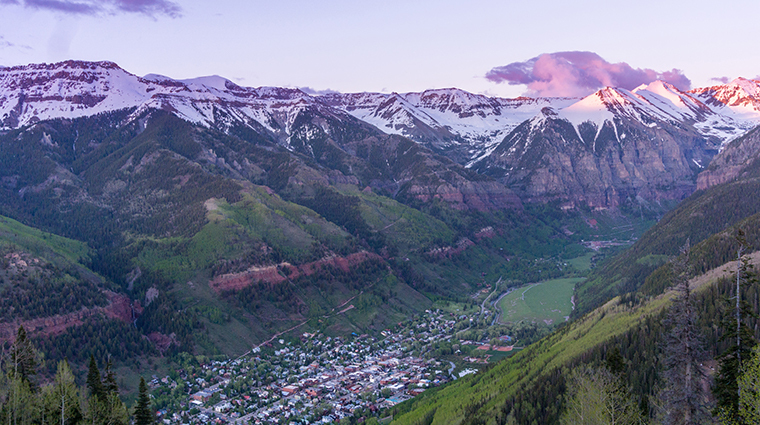 People treasure Telluride for its remoteness, scenic splendor and small-town ambiance. The southwestern Colorado destination combines dramatic scenery, Old West history, luxurious lodgings and some of the best mountain sports in the country. In the winter, 300 inches of feather-light snow blanket slopes that range from tabletop smooth to elevator steep. When the snow is gone, top activities include golf, hiking, fly-fishing and attending the many music festivals that fill the summer calendar. Linking historic downtown Telluride with adjacent contemporary Mountain Village is the Rockies’ answer to public transportation: a gondola.